You’ve decided to join the world of Amazon, congratulations! Regardless of where you are in the lifecycle of your brand, it’s important to have a checklist for success when launching your Amazon presence. 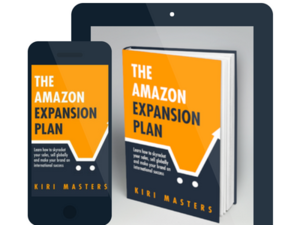 On the surface, Amazon can appear to be an easy platform to navigate and sell on, but just like most things that seem too good to be true, you soon learn that in order to be successful you need to have a proper launch plan. Years of experience and launching dozens of brands on Amazon have led to the development of our own checklist for success at Bobsled Marketing. Working with clients across all product categories has helped us see that certain criteria remain constant when seeking a successful Amazon launch: Sound Business Structure and Operations, Product Launch Marketing Strategy, Knowledge of the Amazon Ecosystem, and Realistic Expectations. What does it mean to have my business in order? Amazon is a unique marketplace that comes with many nuances that change regularly. When a business has decided that they would like to start selling on Amazon, they need to ensure their business is prepared to do so. What does that look like? Below are some common issues to many brands when launching on Amazon. Universal Product Codes (UPCs) are crucial to your business’s success both on and off Amazon as it’s how your product can be universally identified. Without a correct, unique, matching UPC, you can’t even leave the starting line: in order to create a listing on Amazon, UPC codes are required. A note of caution to all those in the market for UPC codes: avoid the purchase of “recycled” codes that are sold by some online suppliers. While the cheaper price tag might be appealing, the headaches a recycled code may cause down the road is not worth the initial savings. When looking to purchase codes, it is important to purchase from a reputable source, and not from the secondary market to avoid any complications with potentially recycled UPCs. There are several companies and sites that specialize in selling codes, but we generally hear good feedback about the process with GS1 as they’ve established themselves as a “go-to” for UPCs. Over the past several years, Amazon has continued to drive sellers towards offering a branded shopping experience for their customers. This can be seen with additional brand registered features such as video on Enhanced Brand Content pages and in branded storefronts. Access to marketing features such as these are only available to brands who have achieved Brand Registry. The first step in the brand registry application process is to provide Amazon with a principal registered trademark of your brand name. It can take anywhere from 6-8 months to complete the trademark process so we would encourage any brand looking to launch on Amazon in the near future to start that process now. If you don’t have your trademark yet, take the first step and apply by following the link to the US Patent and Trademark office. Note that the trademark needs to be registered with the governing body of the same country you’re applying for Brand Registry in. For example, Amazon.com requires trademark registration from the USPTO (US Patent & Trademark Office). In order to be successful on multiple fronts with Amazon you’ll want to have your distribution network secure and in place. This is a two part piece of the puzzle: product flow from your manufacturer to you to supply constant inventory, and any approved distributors you have. Communicating your Amazon plans with both of these parties is a critical pre-launch task. Working with your manufacturers to establish predictable lead times, and simultaneously keep enough inventory on hand for your Amazon efforts helps prevent the dreaded stockout form occurring. You can prepare by completing market research and forecasting potential demand which will ensure that you have plenty of stock for all of the upcoming orders. Another important aspect of your distribution network relates to your actual distributors. The Buy Box on Amazon is the key to success, and controlling that Buy Box can start with controlling your distributors. The buy box is the familiar “Buy Now”, or “Add to Cart” button that you see on a product listing page, and it’s also where over 85%-90% of all sales are funneled through. Ensuring that you alert your distributor that you will be selling on the marketplace and, per a MAP or friendly notice, that they will no longer be allowed to sell on Amazon moving forward will help ensure your ownership of the Buy Box. Doing this ahead of launch, helps ease the headache of losing the Buy Box, and proactively lets your distribution network know that you are taking ownership of this sales channel. Now that you have your general business information prepared for launch, you will need to make sure that your catalog is as well. Prioritizing products for your initial launch and determining a strategy (and budget!) for promoting your launch is key. In order to maximize the benefits of FBA, proper inventory planning and management is critical. If you have too much inventory, you’re potentially hit with excess storage fees; too little and you kill your sales velocity and impact your Best Seller Rank (BSR). Making sure that you have 30-45 days of coverage at a time ensures that you could handle a surge in sales, and not be negatively affected by additional storage fees. When preparing your inventory it’s also important to take into account your manufacturers’ lead times, your own warehouses’ shipment prep time, and Amazon’s FBA warehouse processing times. On average, we see that Amazon’s processing time is approximately 3-5 days once it arrives at their warehouse. All of these play an important part in how quickly your inventory is available for sale on Amazon. A common quandary for brands new to Amazon is determining what products from their catalog to launch: Do you throw it all at the wall and see what sticks? Or do you target your best sellers and plan to build out your catalog over time? We’d suggest doing competitor research of your catalog to determine the current landscape of your products on Amazon. 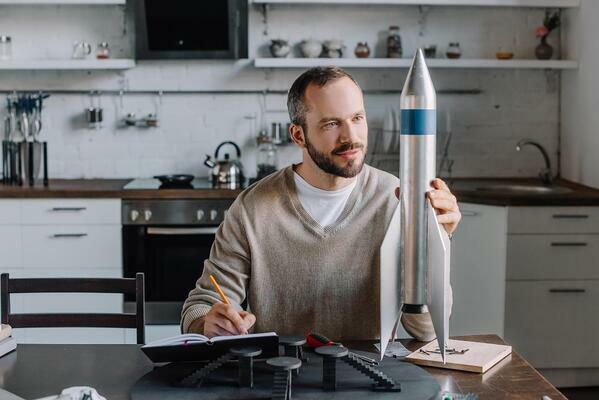 Using the data to create a picture of the existing and potential demand of your catalog can help you zero in on a strategy that will set you up for success both at the point of launch, and down the road. 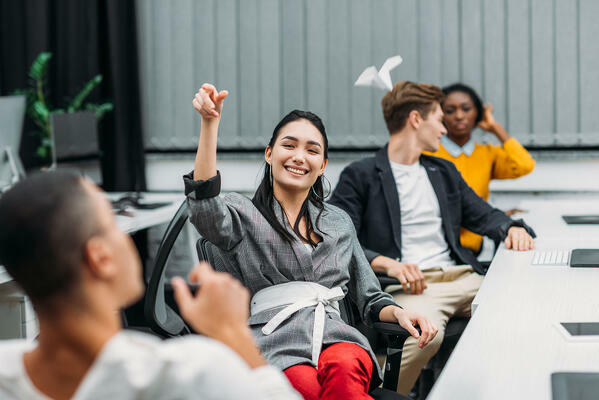 Landing on an answer to these questions can also depend on your internal team’s capacity - what resources do you have for managing the operations (shipping, inventory planning, etc.) and marketing strategies associated with the launch of a large catalog? Having a clear picture of the opportunity, your goals as well as your team’s ability to manage catalogs of varying size will help you determine the breadth of catalog right for your brand to launch. Check out your competitors. Who is already succeeding on Amazon? What tools are they leveraging on their product display pages that are impacting traffic and conversions? Conduct keyword research. There are many tools on the market that can offer you insight into the search terms on Amazon that will be key to developing a listing with strong SEO. Refresh your product images. Product images play an integral role in developing a clear brand message and presence on Amazon. Ensure you have a variety of images for each product in your catalog. You’ll want to capture your product from multiple angles, and in-use so customers have a clear vision of just what they’re getting and how they’ll use it when they decide to purchase your product. Read our previous blog post about how images can bring your product and vision to life! When you’re launching your brand on a marketplace with millions of products, capturing a customer’s attention is a real and significant hurdle. Developing a plan to advertise and promote your products, prior to launch, is an important step in the process. Determine a budget. How much can you allocate to advertising and promotions in the first month of selling on Amazon? Take advantage of Amazon PPC. Organize advertising campaigns to get your products front and center in customer search results. Leverage your existing customer base. Many brands understandably want to balance their Amazon presence with their existing brand site sales. Taking advantage of the customer base that you already have can give you a running start on Amazon. Share news of your launch through email blasts to your subscribers. Promote on social media. Taking advantage of your followers is an excellent way to drive sales, especially when you’re offering a promotion. Consider letting your valued followers know that your products are now available on Amazon with 2 day shipping. You should also consider utilizing your social media audience for promotions. You can create customized codes specific to your social media platform to help track the results of each. Utilize coupons. Coupons are a great tool for driving sales and we have seen them be very effective with even a limited discount. The value of coupons in part is associated with the visibility where they are displayed on the product page right next to the buy box, and on the general search page. We suggest this tool to clients who are looking to increase traffic and drive sales. Understanding how Amazon functions is crucial to success with your launch. You can find this out as you go along or do your research ahead of time to get an idea of what you’re getting into. How do I get paid? When do I get paid? Where do I send my inventory? What do I need to do once it is there? How long do I have to respond to customer messages? The list goes on… and on… and on! Some of these answers are easier to explain than others, such as: you’ll receive a disbursement every two weeks into the bank account that you’ve provided to Amazon, or you have 24 hours to respond to customer messages. Other answers come with a bit more explanation, such as why is some of my inventory going to Ohio, and some going to Texas. Having a trusted agency such as Bobsled Marketing at your side will help get all of your questions answered. Learn about our Amazon Launch Service and request a consultation with us here if this is starting to sound like something you’ll need outside help with. Rule number one about understanding how Amazon works: this is Amazon’s world! What does that mean? The customer belongs to Amazon, and not you, the seller or vendor. That translates to a robust set of Terms of Service that every Seller or Vendor must abide if they want to continue to reap the rewards and privilege of selling on Amazon. The most experienced sellers will tell you to learn to work within Amazon’s rules. When a policy changes, change with it. When Amazon tells you that you’ll need to adapt and adjust, be prepared to do so. Understanding that Amazon is a customer-centric company, putting customers above all else, will help you frame your perspective and put you on a successful path for launch. While the opportunities on Amazon are vast, success doesn’t happen overnight. Like all other aspects of your business, it takes time, effort, and discipline to build the momentum necessary for success on Amazon. New products and brands take time to rank on Amazon. Your products may or may not show on the first page the first days that they’re live, especially if you’re a new product or product category. With time, will come sales, and with sales will come product ranking. We generally see great improvements in rank for launch products within 45 days of going live. You will also want to be sure to put in the effort to monitor your data to look for places to improve. That may include adding keywords to improve conversion rates, or considering a price reduction to be more competitive within the market. You will need to be disciplined with your account checks to ensure you have inventory, and your account health is in good standing. Bobsled has produced a great article to read when considering how long it should take to see results on Amazon. So there you have it, your high level overview of what is needed for a successful launch on Amazon. There are hundreds of scenarios and variables that can affect the path you take when launching on Amazon, based on your business and brand. Sticking to the above mentioned steps will help make that path easier, and lead to a more successful launch. The surefire way to ensure 100% success for an Amazon launch is to work with a trusted, respected, and experienced team of professionals like us, here at Bobsled. If you’re considering launching your brand or business on Amazon, feel free to contact us for a consultation and let us help determine the next best steps to ensure success for you and your brand. Did you find this overview useful? Download your own checklist.